As many of you will no doubt be aware, 2014 was an exceptional year for the Club. A year in which the 1st XI won the Championship for only the fourth time in the Club’s history (1972, 1978, 1997, 2014). By any standards this was a tremendous achievement and an achievement that was shared and enjoyed by every single person associated with the Club. It says a huge amount about the culture of the Club that on the day we won the title, in addition to all the spectators and non-playing members that were watching from the boundary line, there were players from the 2nd XI, 3rd XI, Old Oaks as well as Juniors from all age groups there too, enjoying the moment. This was a success for the entire Club and I want to thank everyone involved for their terrific hard work, both on and off the field, to bring together all the necessary pieces to help the Club achieve one of its finest moments. The Vine has played a very important role in my cricketing life. I joined the Club over 25 years ago and I am delighted to still be involved, all be it in a non-playing capacity now! One of our key objectives, as a Committee, is to maintain, foster and develop the relationship members continue to have with the Club. Whilst, inevitably, people will focus on the 1st XI, The Vine is much, much more than this. 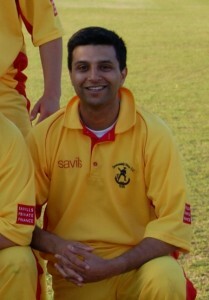 On the cricketing side, the Club has a number of Senior Saturday sides, as well as a Sunday development XI and an Old Oaks team. We have a thriving Juniors Section where kids of all abilities from 6-17 can play this wonderful game and get coached by some of the best coaches in the county. We also have an Indoor 6-a-side team that plays through the winter. Off the field we have a fantastic set of supporters, many of whom travel to our away games and follow our performances with keen interest. We also have a tremendously dedicated Committee, all of whom give their time for free to ensure that The Vine continues to be the club of choice for cricketers and supporters in the area, and we have a strong social aspect too! The Vine has won a number of trophies over the years, both team and individual. Whilst all awards are welcome, myself and the Committee were particularly pleased to see us win the Brian Luckhurst Premier Division Spirit of Cricket award. Firstly, because this is a team award, and the team ethic is an important aspect of The Vine, secondly, because it is a wonderful reminder of how important it is to play the game well and finally, as it is sets the tone and level of expectation for every single member of the club. 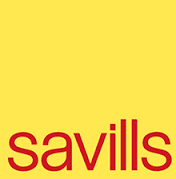 I also want to take a moment to thank all of our sponsors and in particular Richard Smith at Savills. Savills’ ongoing support of our Club over the years has been terrific and we are very grateful to him for this. This is our Club, and I know we are all very proud to be associated with it. If you have suggestions, thoughts, advice, please feel free to contact myself, Andy Richardson or anyone on the Committee. As ever, we are always very happy to welcome new members, whether they are players, supporters or volunteers to help with the many aspects involved in running our Club.